Military Salute to Otranto Victims,Kilchoman Cemetery, Island of Islay, Scotland. 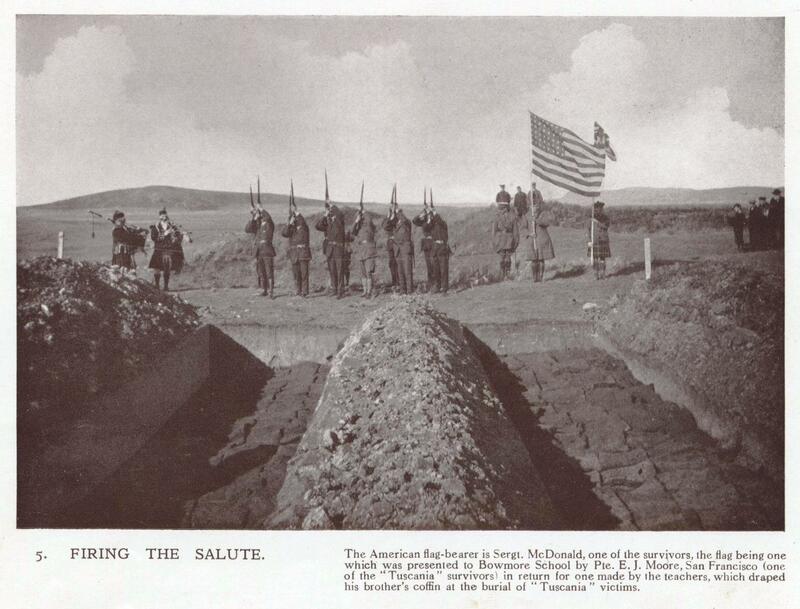 A military salute being fired over the mass graves of American troops killed in the wreck of the Otranto which occured October 6, 1918. Among the dead were two soldiers from Ray City, GA, Shellie Loyd Webb and Ralph Knight.